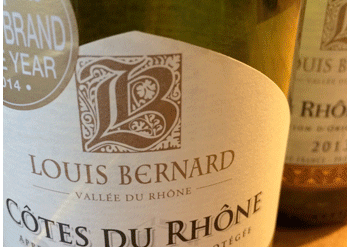 By “Light Red: I mean a low alcohol wine that refreshes along the same lines as a white. The feeling is of vitality and a tangy dryness. Beaujolais is the classic example. I know this style is not for everyone, and if you are absolutely hooked on rich ‘n smooth, read no further. The Bosc family at Chateau des Charmes have been making excellent, down-to-earth, Gamays for decades and, thanks to the warm 2014 vintage, this may be their best yet. I love the Beaujolais-style bright fruitiness, mixed with a Barbera-style tangy bitterness. Fun meets earthiness. Wonderful stuff for refreshing, and getting the palate in gear for food. Such as a platter of charcuterie, a greasy burger, or Italian sausage sandwich. 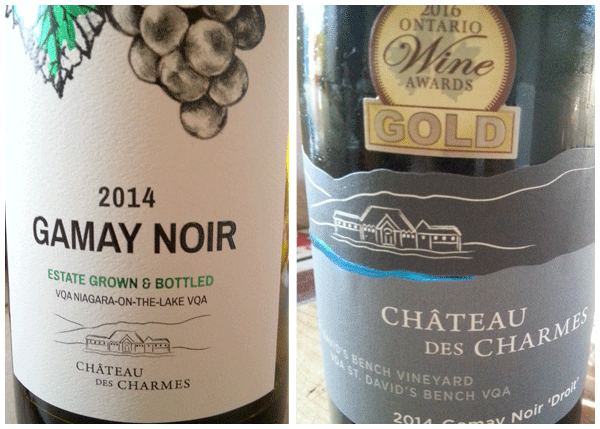 Lighter reds are Ontario’s strength, and this is the season to enjoy them. Charmes also produce a unique clone of Gamay that they call Droit, and this wine has a little more volume – without losing the grape’s light personality. I can never decide if it’s similar to everyday Burgundy or everyday Italian Nebbiolo. Good company for sure, and worth exploring if you like these reds.